Do you know what the goals of content marketing are? Let’s talk about a few tough questions. Questions that get to the fundamentals of content marketing, or really ANY aspect of marketing – questions about goals. Maybe you’ve been intrigued by past posts of mine talking about how content marketing DOES make sense for libraries and similar nonprofits. Maybe you’ve seen one of my many presentations or webinars where I talk content strategy or how you’re closer to doing content marketing than you think. You and your library are already all over social media and improving your website – but want to know how this all really ties together. So, let’s go to the beginning, and talk goals. 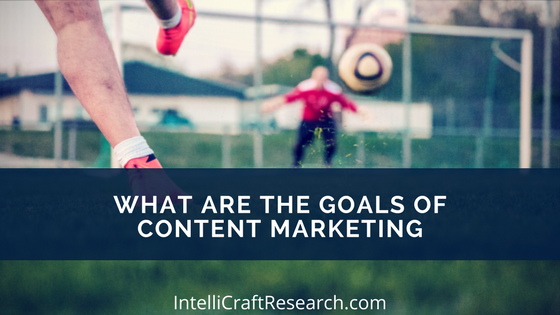 Do your content goals match your overall marketing goals? Do your content goals match your organization’s overall goals? Are you all about event attendance? What does “success” look like for your organization? Now, think about what it would mean to be “successful” with this particular piece of content? The print newsletter you still have? I never said content strategy and content marketing were easy! Or should I say, “effective, strategic content marketing isn’t easy or quick.” Just throwing a lot of library related materials on social media is NOT content marketing. You know that. And thinking about what “success” means, what your goals are, for EACH channel and EACH piece of content is hard work. If that means cutting down on the platforms or channels you use, so be it! 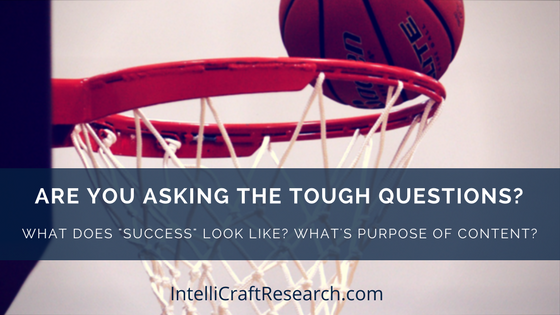 But asking these questions, setting goals, and evaluating the purpose of your content is necessary. It makes for integrated marketing, which is so much more powerful and effective – and sustainable – when you have your goals set, plans outlined, calendars working, and tools in place. NOTE: I’m digging into how content marketing is about attraction, not interruption as well as making it the engine to drive your marketing cycle at #LMCC17 in Dallas in November. Will I see you there? Check back for more related tips and resources. 3 ‘how-to’ posts w/ links and ~ 800 words per month? One 8 minute ‘how-to’ video? Only curating tweets that come from educational sources related to educating your audience about your given topic? Giving mini-courses on an aspect of your core topic(s)? Producing 1 purely educational video per month or per quarter? And think about how you might know (or figure out) if your audience is actually becoming ‘educated’ about your topic. Now, go through that same exercise for other common reasons org’s use content marketing: What does “engage” mean and look like for your library? What does it mean for you to “entertain” with content marketing? How does “inform” look different than “educate”? Just as any other organization, and with all marketing, those in nonprofit areas must beware not to lump everything together as ‘increase awareness’ or ‘improve engagement’. What does that even mean? Remember to get specific and keep your calls to action in mind. Marketing is about messages with a purpose. Set realistic, achievable goals that you know you can measure. What are you measuring? 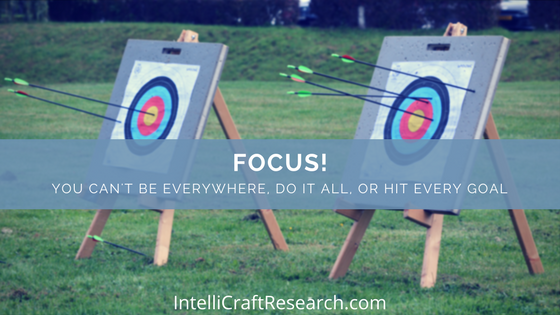 Do you have the tools you need to measure your activities? Will your measurements help you understand “engagement”, “awareness, “exposure”, or “participation”? You need to have a key goal for each of the channels or platforms you are using to deliver your content. On Twitter and Facebook you are engaging in community-building, having conversations, delivering customer service. And maybe you post video interviews or thought pieces on Vimeo to build your credibility and thought leadership. Eventually you may want to make, earn or raise money with your content – but that’s not the first goal/purpose of content marketing. So, what IS the purpose of content marketing? Attract – not interrupt. Deliver what your audience wants and needs to hear, in formats they prefer, easily digest, and willingly share. That’s the prime goal of content marketing.